Building Custom Menus Novice Novice tutorials require no prior knowledge of any specific web programming language. 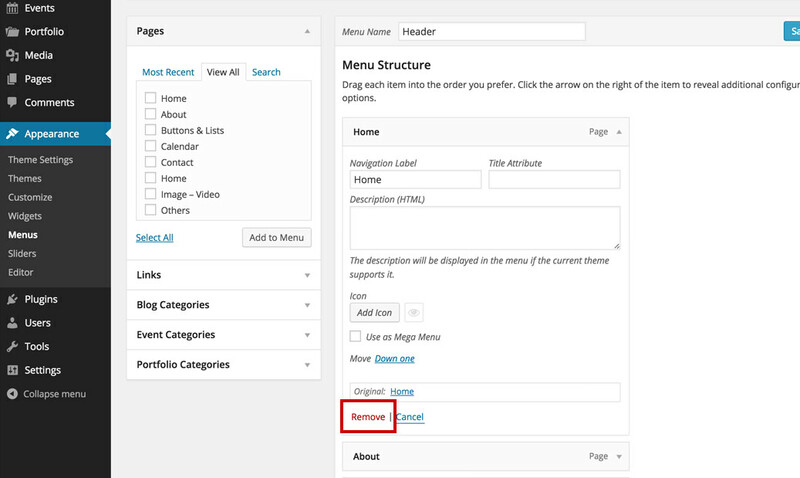 Go to the Appearance > Menus in the sidebar in order to load the Menu Editor page. 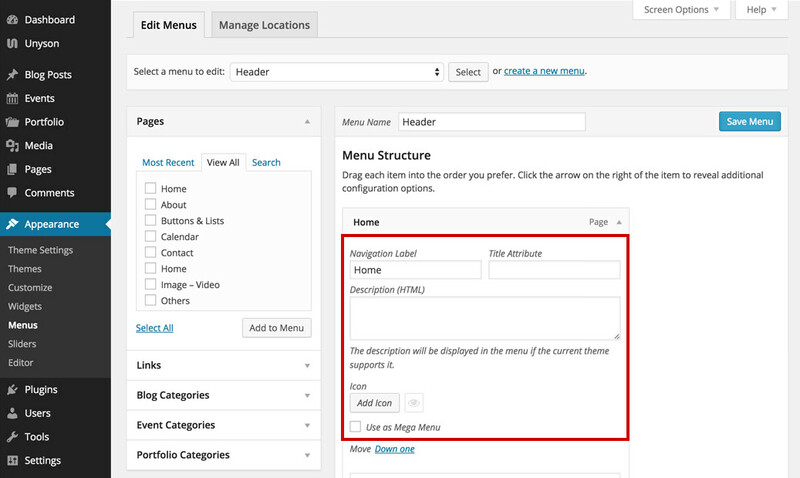 From this page you can control anything related to your website menus. 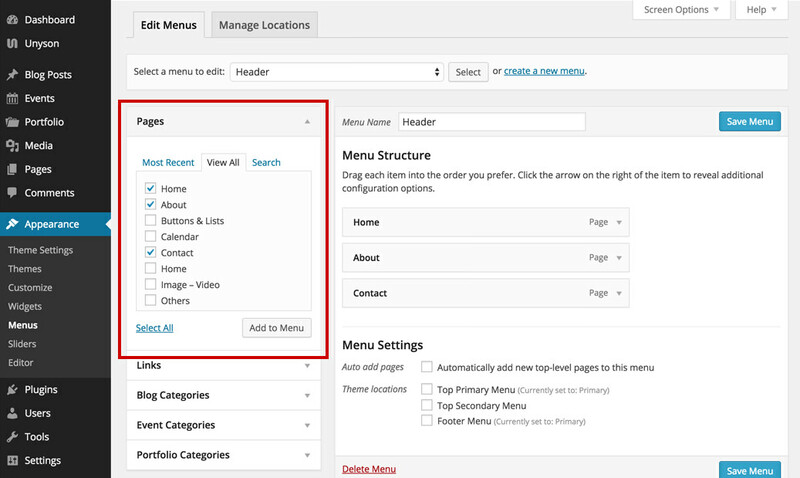 Click the create a new menu link at the top of the page. Enter a name for your new menu in the Menu Name box. Once a menu is created, you can add items into it. On the left column you can find different custom links, pages or categories that can be added to your menu. Select the tab entitled Pages. Press the View All link to bring up a list of all the published Pages on your website. Select those Pages you want to add by clicking the checkbox next to each Page title. 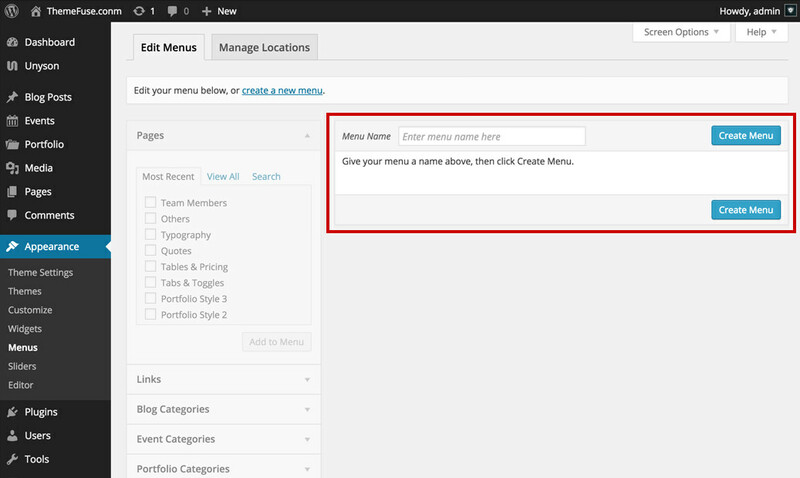 Click the Add to Menu in order to add your selection(s) to the menu that you've just created. Click the Save Menu button once you have added all the menu items you want. Select the menu item that you want to delete from the menu editor screen. Press on the arrow icon in the top right-hand corner of the menu item/box to expand it. Click on the Remove link. The menu item/box will be immediately deleted. The Navigation Label - what your readers will see when visiting your website. The Title Attribute - this text will be shown when the user’s mouse hovers the menu item. Description (HTML) - this option is not supported by the current theme. Icon - lets you add an icon to your menu item. Move - use this option to change the item's position in the menu. Go through all the options and make the necessary settings. Once you have finished, press the Save Menu button to save your changes.